If you are looking for a devotional for young women, Adored by Zondervan could be the one for you! About the 365-day devotional: Each day features an easy-to-read, relevant devotion paired with a scripture verse and journaling space to help readers reflect on the day’s message. The book tackles tough topics girls face, from bullying and social media to friendships and dating, all the while showing readers how infinitely precious they are in God’s sight. The recommended age for this devotional book is age 13+. You can get a free 7-day download of the book here. It will be quite a few more years before my daughter becomes a teenager, but I am already thinking about the challenges she will be facing in the coming years. My prayer is that she will know who God created her to be…adored, loved, unique, amazing! Giveaway is now closed. The winner is Meg! I also love reading the bible. So imagine my excitement when Zondervan came out with the The Under the Sea Holy Bible, in the New International Reader’s Version (NIrV). About The Under The Sea Holy Bible – It is a perfect gift for children ages 6 to 10. Themes of underwater fun and sparkling fish grace the interior of this wonderful children’s Bible. The outside is covered in foil and sparkle. The interior has color inserts featuring whimsical underwater scenes with themes of God’s care and love for each of us and all of creation. Outrageous Joy was the theme for the Women of Faith event that I attended in 1999. This was my very first Women of Faith experience and it was quite an event! Thousands and thousands of women coming together to worship, learn and be inspired. I was overwhelmed with so much curiosity and excitement, because I had never been to a gathering such as this before. It was an exhilarating weekend! Six amazing speakers – Patsy Clairmont. Barbara Johnson. Marilyn Meberg. Luci Swindoll. Sheila Walsh. Thelma Wells. Strangers to me in the beginning, but then welcomed into my heart as I listened to each speaker share their stories and insights. Since then, I’ve attended a few more Women of Faith events in Southern and Northern California. Some of the speakers have changed over time but each gathering was always filled with so much laughter and awe-inspiring messages of God’s love. I’m so excited to share about the Women of Faith movie, in theaters February 18 & 20 and March 3 & 5. Whether or not you’ve been to a WOF event, this movie would be a fun “girls night out” and there are group deals too! For tickets and to find a theater near you, visit http://www.wofincinemas.com/. Over the last nearly 20 years, Women of Faith – http://www.womenoffaith.com/ – grew to become the largest non-denominational Christian women’s conference, touching over five million lives with personal stories full of laughter and tears. Stage events have included such inspirational and spiritual luminaries such as Campus Crusade for Christ’s Mary Graham, author & reality TV star Corie Robertson, author & popular speaker Luci Swindoll, author Sheila Walsh, and others. The cinema event will take viewers on a journey of Women of Faith through the years, on stage and off, on their travels with World Vision, their impact on audiences, in short the way they’ve changed the world. Partly historical, and frequently hysterical, this unique cinematic experience will be packed with some of the most popular pieces from the beloved speaking team to include Anna Trent, Thelma Wells, Mary Graham, Luci Swindoll, Sheila Walsh, Jen Hatmaker, Sandi Patty, Patsy Clairmont, Nicole Johnson, and Marilyn Meberg as well as music and performances from Christian contemporary artists that appeared on the tour. Featuring never-before-seen interviews, outtakes, and behind the scenes footage, this event presentation will bring back memories for all those who have attended a Women of Faith weekend as well as create new memories for those experiencing it for the first time. Thanks to FlyBy Promotions, I’ll be seeing the movie next week with several girlfriends. Let me know if you plan to see the movie too! Have a blessed day! After we decided to cancel our satellite service provider in early 2012, we began to watch many more television programs and movies online. It’s amazing how many shows you can watch online the next day or through on-demand Internet streaming media providers, like Netflix and Amazon Prime. It’s so convenient, as long as you have a device to watch it on and available wifi. I am always looking for wholesome, family/kid friendly programs for my family to watch. 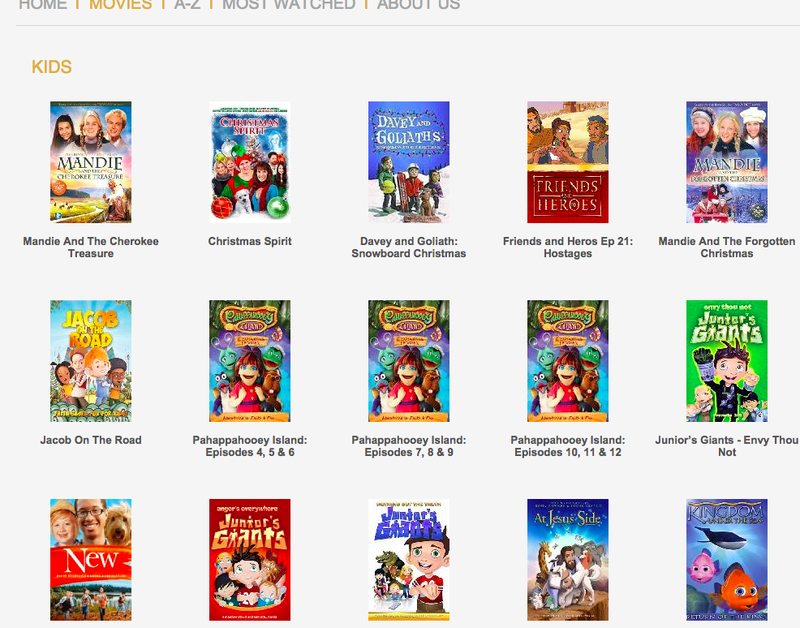 Then I found out about gMovies from Flyby Promotions and it was just what my family and I needed. If you haven’t heard of gMovies yet, let me introduce it to you. 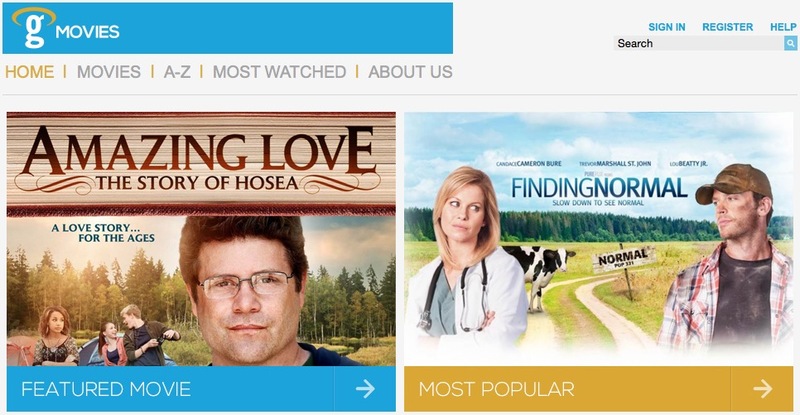 gMovies offers instant access to almost 300 faith friendly feature films of every genre, in addition to animated stories, television series and biblical documentaries. Always available on your computer or mobile device, gMovies also includes the bible-based animated series “Pahappahooey Island;” teen drama “Much Ado About Middle School” starring Bill Cobbs, Lee Meriwether and Amanda Waters; and the “Left Behind” drama series starring Kirk Cameron and based on the New York Times bestselling books by Tim LaHaye and Jerry B. Jenkins. 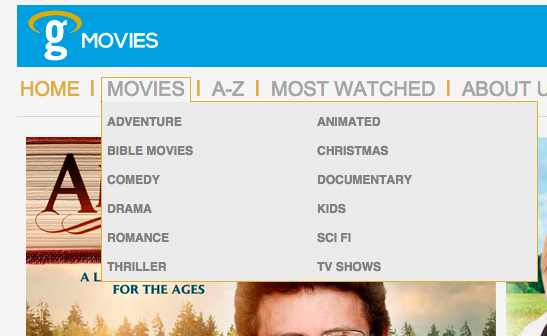 The website is easy to navigate and you can search for movies alphabetically, by category or most watched. I am a fan of Candace Cameron-Bure, so the first movie I watched was “Finding Normal,” and I thought it was pretty good with some hilarious scenes. gMovies is operated by UP, America’s favorite television channel for uplifting music and family entertainment, so rest assured that you are being offered the very best in faith conscious entertainment. The Parents Television Council™ has twice awarded its Entertainment Seal of Approval™ to UP for being “an authentic family-friendly cable network.” UP is the only television network to be so honored. Join over 2 million people who are already enjoying gMovies on a monthly basis! Thanks to gMovies, they are giving all of my readers a Two-Week Free Trial! So, if you would like to check gMovies out, here’s a wonderful opportunity. 1)To begin your two-week free trial, click here. FYI: The video player on the gMovies website is Adobe Flash Player based. You will just want to ensure that the web browser you are using to access is able to run the latest version of Adobe Flash Player. Also, to maintain the highest quality stream, please ensure your internet download speed is at least 3.0 Mbps. GIVEAWAY – I am also giving away a FREE 6 month subscription to one lucky reader! To enter, comment below with your favorite family friendly or faith friendly show/movie. Giveaway ends on Sunday, April 26th at 11pm EST. Settled in the Blue Mountains of Pennsylvania, deep within America’s new frontier, the Leininger family celebrates the blessings of a beautiful homestead and bountiful harvest. That is, until tragedy strikes with the beginning of the French and Indian War and the devastating raid known as the Penn’s Creek Massacre. About The Author: Tracy Leininger Craven loves history and retelling real-life stories in her historical fiction books. She also loves spending her free time in the great outdoors with her husband David and their four children. Thanks to FlyBy Promotions, I have the opportunity to review this book. Written from Barbara’s view, this is a story about family, faith, courage, and hope. The Leininger family left their homeland in Germany in search of a better life in a new country. They brought with them their faith in God and it is that faith that sustains Barbara and Regina during their many years in captivity. Their father taught them that God will never leave them, despite any trials they come across or when things seem hopeless. The family would read the bible, sing hymns (like the hymn “Alone Yet Not All Alone”) and pray together often. This was indeed a family of faith! Barbara made sure she held onto those promises from God and she prayed often for her sister, family and friends. She kept God close to her heart and never forgot Him, knowing that God never forget about her and Regina. This book was written for ages 8 and up. The author includes discussion questions at the end of the book so you can definitely read this with your kids and then talk about the story together. This makes for a great history lesson too. I was also encouraged to see how God placed people, like her friend Marie, in Barbara’s life to help her when things got challenging. Marie would remind Barbara to trust in God and they would pray together. We all need friends like Marie in our own lives, don’t we? 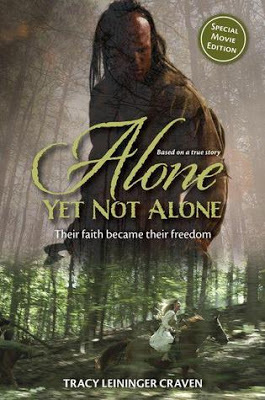 I am excited that the Alone Yet Not Alone movie based on the book will be released in theaters on September 27, 2013. Families will love this film based on a true story! Awarded 5 Doves from the Dove Foundation! GIVEAWAY TIME!!! – One lucky reader will receive a copy of the book, Alone Yet Not Alone. Giveaway ends Tuesday, September 10th at 11pm. To enter, please leave a comment telling me if you plan on watching the movie, Alone Yet Not Alone, or tell me about the last movie that you saw in a theater. The giveaway is now closed. The winner of Alone Yet Not Alone is Robin!